Lot 4, 14 Black Myrtle and Lot 12, 5 Black Myrtle Court available for sale .... Click on either Lot 4 or Lot 12 to see the building plans, price & constructions dates. This is a unique estate comprising of 14 landscaped acreage lots. 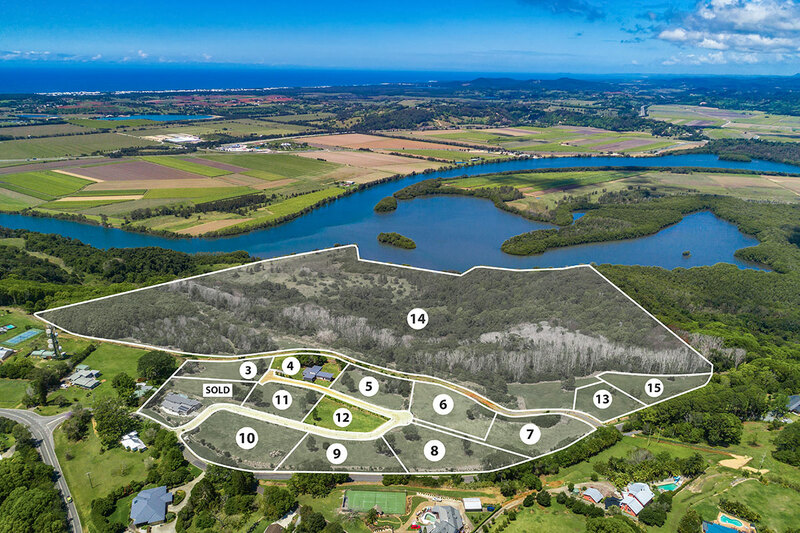 The vision for this development is for the home designers & architects concepts to complement the existing landscape, in all it's natural beauty, whilst maximising on the stunning panoramic views over the Tweed River, sugar cane fields and the Pacific Ocean. A hand-picked selection of prominent architects & designers has been chosen to fulfil this concept. Each house will be completely individual however will have a lovely flow ensuring the development blends together seamlessly with an emphasis on indoor/outdoor living space & tranquillity.